In bringing life to AMSOL’s Purpose to transform the maritime industry, it is the significant investment made by the company in the training and development of its current and future employees that ensures it remains a market leader. 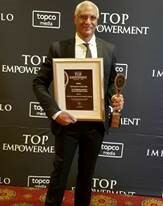 We are pleased to announce that against strong competition, AMSOL has been recognised in the category of Skills Development at the 2018 Oliver Top Empowerment Awards which took place last week. 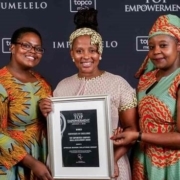 Organised by TopCo Media, the Oliver Top Empowerment Awards is the most influential Empowerment Awards ceremony in the country, recognising leadership and advancing innovation through empowerment. 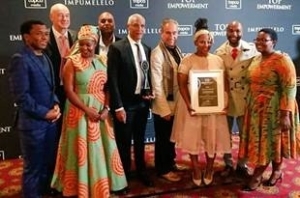 The Oliver Top Empowerment Awards crowned this year’s champions for their contribution in driving the empowerment agenda and their leading role in boosting South Africa’s growth and equity in the economy. The competition was fierce with more than 150 nominations taking place across 13 award categories. 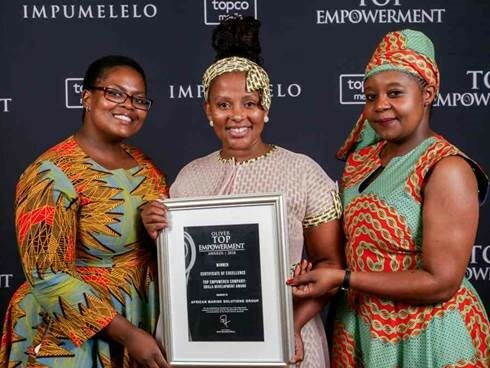 Receiving the Award for Skills Development bears testament to AMSOL’s focus on remaining a market leader in delivering superior service and satisfaction to both its clients and its employees. Ensuring that a robust Talent Pipeline is supported by focused Training & Development is possible because of a commitment to transformation, as well as the development of competence within the maritime sector. AMSOL would like to thank its clients, its employees and its stakeholders for their contribution to the company’s success. We continue to focus on using our role as a market leader to sustainable transform the maritime economy – and this would not be possible without your support, encouragement and high expectations.